1. 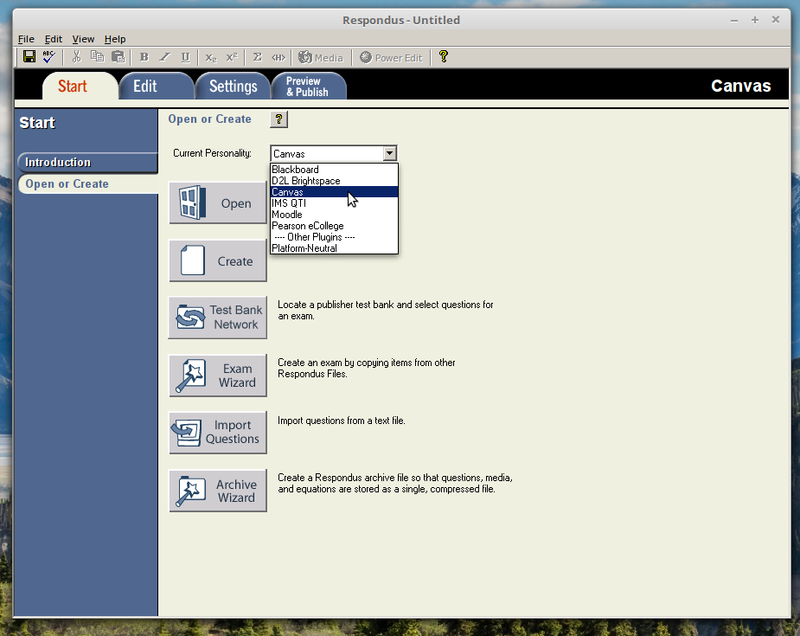 After you have installed Respondus 4.0, open Respondus 4.0 and choose “Canvas” as your current personality. 2. 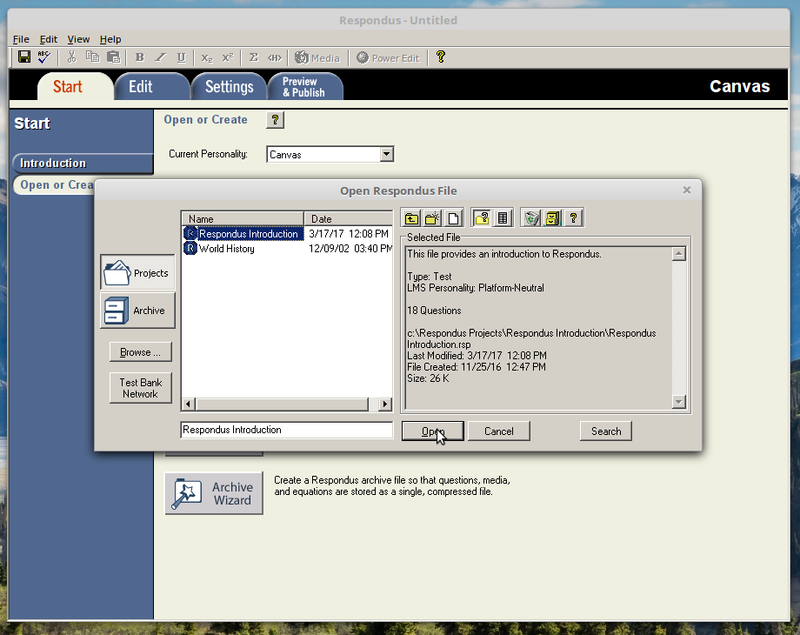 Open your Respondus questions file, or open one of the default Respondus questions files. 3. 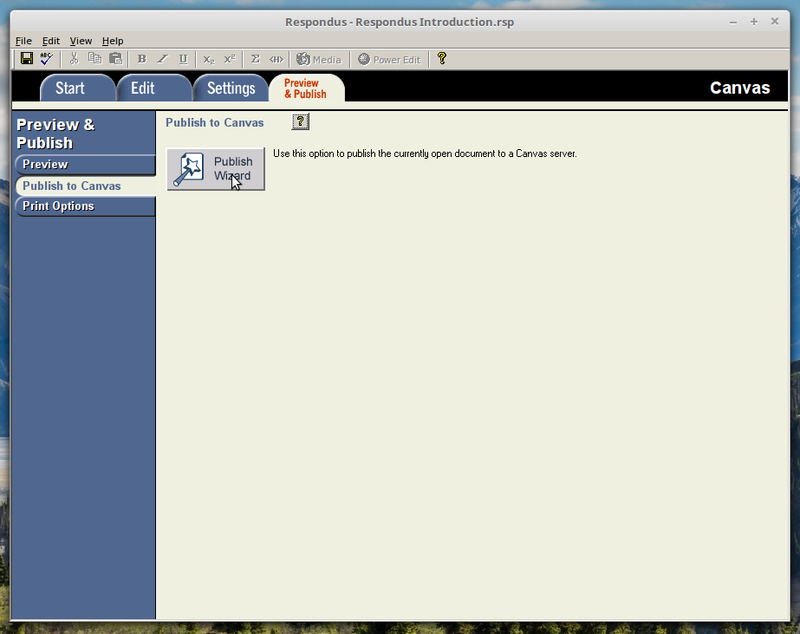 Click the “Preview and Publish” tab, the “Publish to Canvas” menu item on the left-hand menu, then click the “Publish Wizard” button. 5. 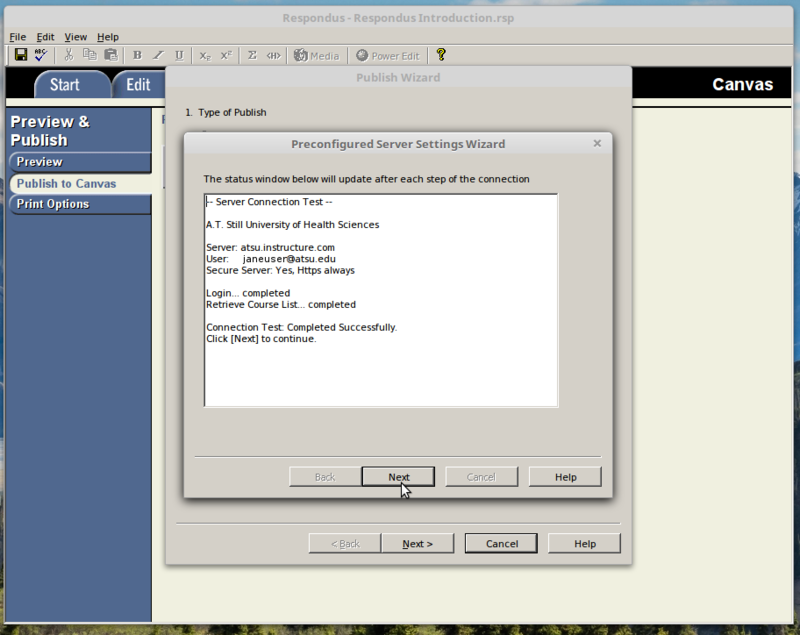 In the “Add New Server Settings” pop-up, choose “Yes, check for preconfigured server settings”. 6. Enter a friendly server name in box 1. This is an arbitrary name, so anything may be typed here. We suggest “Canvas at ATSU”. 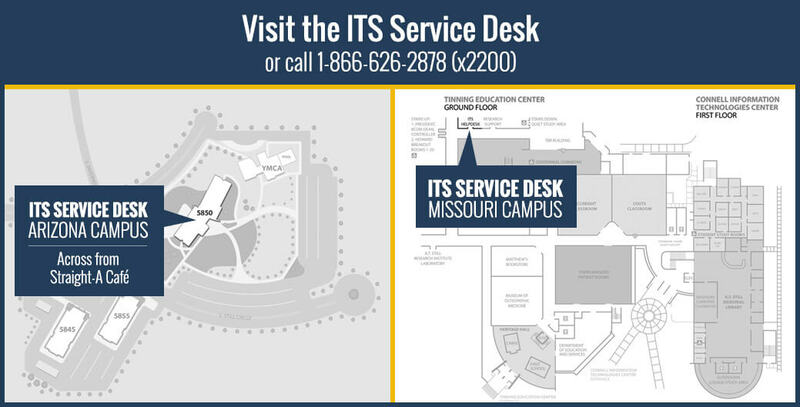 Enter your FULL ATSU email address in the box 2 “User name” area. Enter your regular ATSU password in the “Password” area. 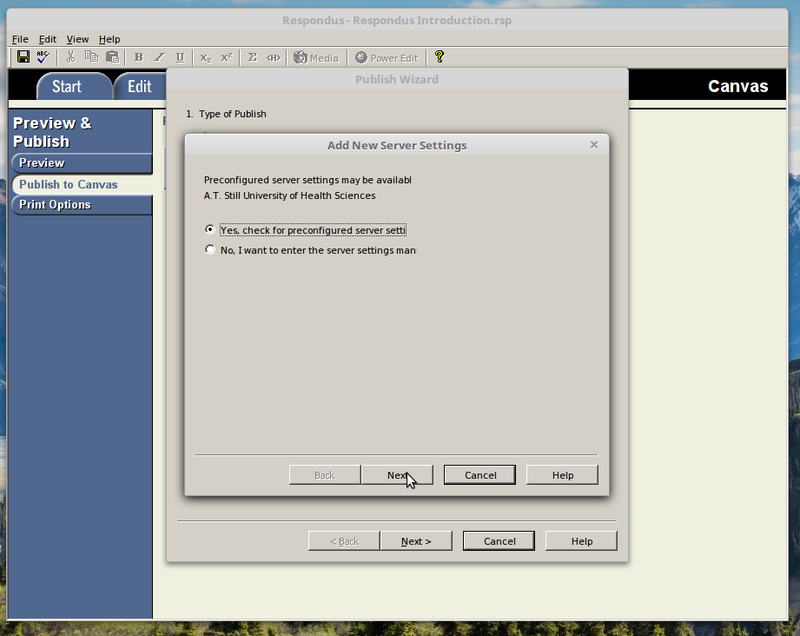 In Box 3, choose “Run Connection test”, then click the “Next” button. 7. 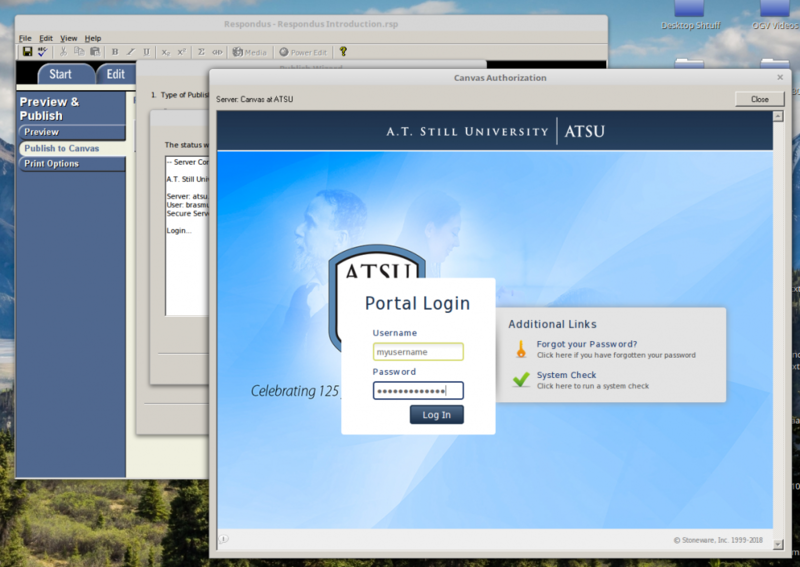 The ATSU Portal Login screen will pop-up in a new window. Enter your regular ATSU username and password, then click the “Log In” button. 8. 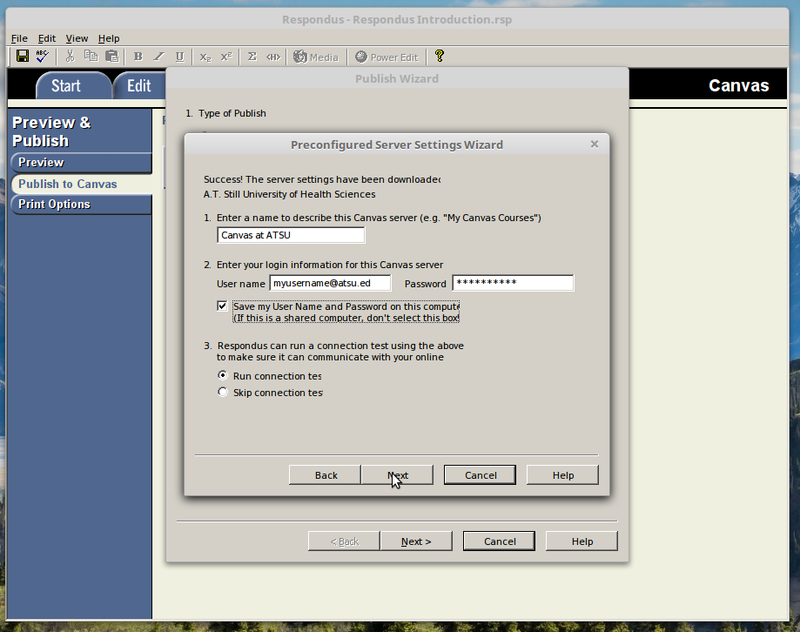 Click the “Authorize” button in the Canvas Authorization screen that pops up. 9. After the Connection Test has completed successfully, click the Next button. 10. 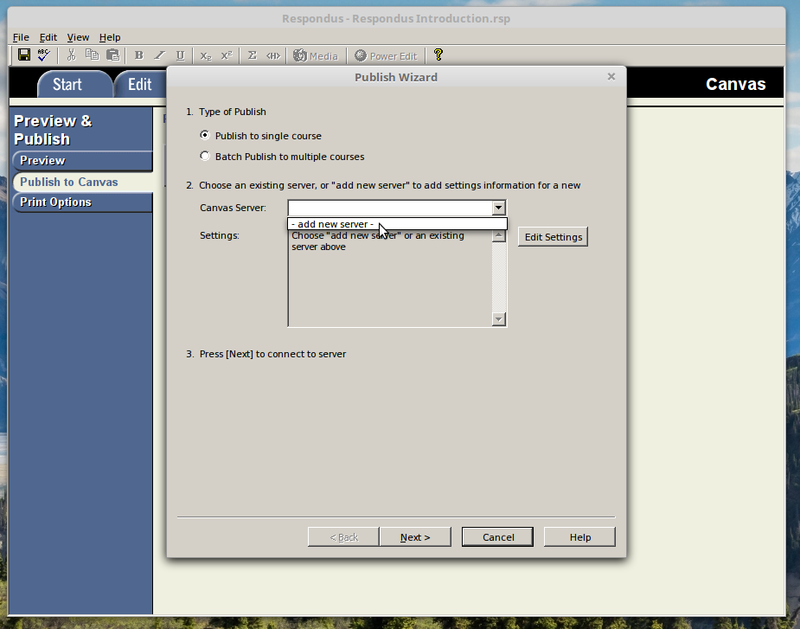 Choose “Publish to a single course” in box 1. Choose your newly-created server in box 2. It will have “[PSS]” appended to the end of the server name. This indicates that this server is a “single sign on” server. 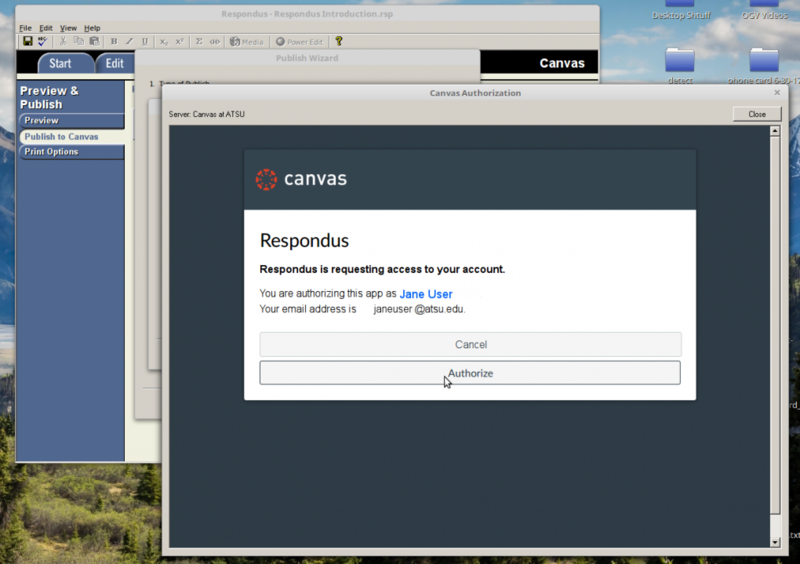 In other words, it indicates that it uses ATSU’s authentication to login to Canvas, and not Canvas’ native authentication. Click the “Next” button. 11. Click the Finish button. Now, when ever you would like to publish a test to Canvas, select this server that you just created, choose your course, and publish the test to it.